Maintaining open lines of communication with citizens is an important priority for the Medicine Hat Police Service. The mandate of the Professional Standards Section is to investigate complaints against the Police Service or its members as outlined in the Alberta Police Act. Additionally, members of the Professional Standards Unit look for opportunities to improve on the development of policy, procedures and training to ensure members of the MHPS are receiving the direction and training required to address the demands of policing now and into the future. The Medicine Hat Police Service welcomes any compliments about a specific officer or civilian member and the service you received. All compliments will be reviewed by the Chief of Police and any staff member named will also receive a copy. Your personal information is optional. All complaints will be investigated as outlined in Alberta Police Act. A complaint against the Police Service or a police officer must be made in writing and signed by the person making the complaint. 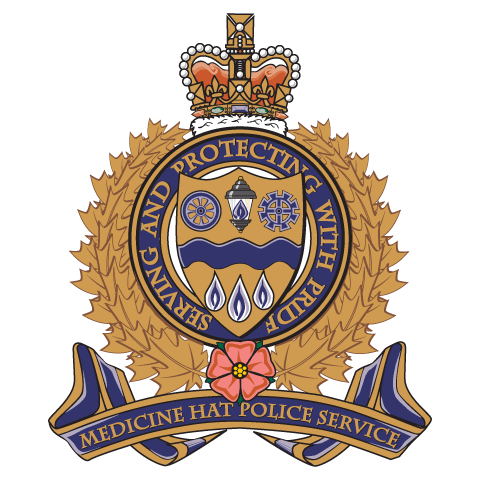 The Medicine Hat Police Commission is committed to effective oversight of the public complaints process by promoting a fair and transparent process. The Public Complaint Director function is a key component in the law enforcement oversight model in Alberta. The Police Commission has appointed Dan MacDonald as the Public Complaint Director, who acts under the direction of the Chair of the Police Commission and is independent from the Medicine Hat Police Service. The Public Complaint Director will receive complaints as laid out in the Police Act section 28(3) and will direct them to the Chief of Police as laid out in the Police Act sections 43(1)(2). The Public Complaint Director monitors the status of all complaints and will provide an alternative dispute resolution process when appropriate after consultation with the Medicine Hat Police Service and the complainant. Police Act hearings are held when the Chief of Police is of the opinion that the actions of a police officer may constitute a more serious contravention of the police regulation governing the discipline or the performance of duty of a police officer.